Two Jack Lake Sunrise • A tranquil sunrise at Two Jack Lake in Banff National Park. 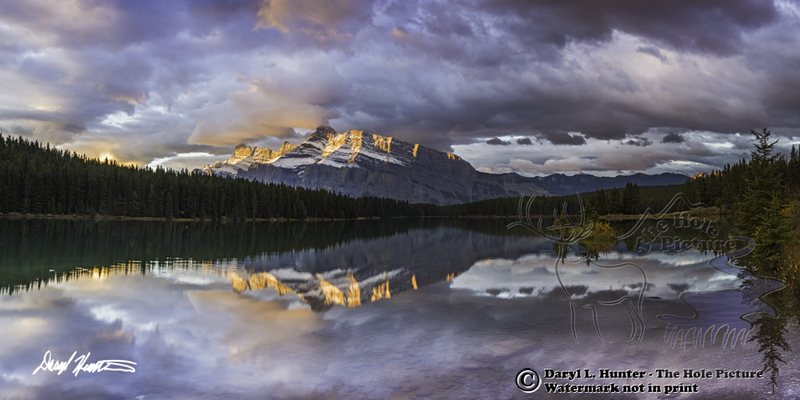 On calm mornings and evenings the lucky photographer finds a reflection of Mount Rundle upon the calm water. When very lucky the colors of sunrise will be reflection in the lake also.